Today I have been reading Eta Linneman's small book Historical Criticism of the Bible: Methodology of Ideology. What I realized led me into profound disillusionment. I reacted by drifting toward addictions which would dull my misery. I became enslaved to watching television and fell into an increasing state of alcohol dependence. My bitter personal experience finally convinced me of the truth of the Bible's assertion: 'Whoever finds his life will lose it' (Matt. 10:39)... Finally God himself spoke to my heart by means of a Christian brother's words. By God's grace and love I entrusted my life to Jesus (18). Linnemann writes this book to basically uncover the presuppositions of the historical-critical investigation/school. She does not pull any punches! If we insist on reading [Joel] as a unity, then the presence of this future-oriented material will be bound to influence how we read 1:2-2:27 [and additionally: how 1:2-2:27 informs its reader of 3:1-5ff.] too, for taken as a whole Joel is a book about the end time, of which the locust invasion and its resolution are harbingers. A historical-critical reading, however, is entitled to distinguish between two parts of the book and to identify quite different contexts. Though I have often felt when reading critical scholarship an entitlement, it was the first time I had read a scholar say it so explicitly! This "entitled" method Barton undertakes in his commentary hamstrings his comment more often than it actually gives it insight. It actually privileges his developed method over what the book of Joel says, and over how a whole tradition has read Joel. She adds -- "This is a perversion!" (116) Remember who is saying this. It is not your token Fundamentalist-American-Evangelical-Right-wing Preacher! So as I read such things as Barton proposes, I cannot help but wonder: methodology or ideology? Whoever maintains that the Bible can only be made understandable with the methods of critical historiography is putting thoroughly atheistically conceived science in charge of the treasure of divine revelation. That is, we take "I think, therefore I am," (Descartes) over "I believe, therefore I understand" (Augustine). What I see as the value in the above comment from Linnemann and comment on Barton's perceived entitlement is the relevance it has for today's students of theology. 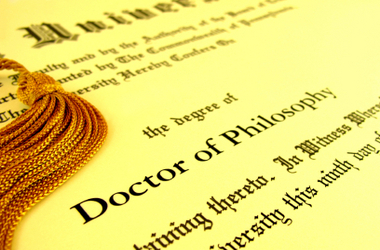 Many of my doctoral peers are each day faced with powers greater than themselves, supernatural powers, warring over the hearts and minds of the next generation. Little by little, ground is granted as room for atheism. That is, God's hand in Scripture and the world is slowly, not pushed out -- that is impossible! -- but ignored. As Linnemann says, this reality has real effects of addiction and further denigration of our personal lives, and our societies. It is not just a war of a pen, but much much more! My peers are failing to see this as their challenge each day. They are actually more wiling to take up the challenge of filling the void Linnemann left when she disowned her academic post. However, I ask my peers: If Linnemann refused this "method" (ideology) as "refuse," who are you (especially you who claim Christ as Lord) to take up this mantel she disregarded, even to the extent of disowning works that defined her legacy? It is not more intellectual or enlightened to do so. I am praying I will heed Linnemann's warning! I need others to stand with me in fellowship. Good post, Aaron. In my world here, it seems to be a common temptation to fall into this "ideology" for fear of being left out, or fear of being labeled a fundamentalist if you don't join in. The practice of serious and responsible scholarship based upon Augustine's epistemological conception (as you pointed out) is greatly needed here in order to demonstrate a better way forward.